226 pages | 32 B/W Illus. Urban Spaces in Japan explores the workings of power, money and the public interest in the planning and design of Japanese space. Through a set of vivid case studies of well-known Japanese cities including Tokyo, Kobe, and Kyoto, this book examines the potential of civil society in contemporary planning debates. 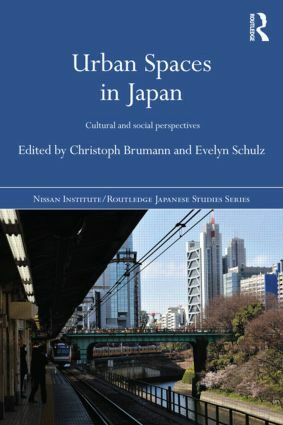 Further, it addresses the implications of Japan's biggest social problem – the demographic decline – for Japanese cities, and demonstrates the serious challenges and exciting possibilities that result from the impending end of Japan's urban growth. Christoph Brumann is Head of Research Group at the Max Planck Institute for Social Anthropology, Halle, Germany. Evelyn Schulz is Full Professor for Japanese Studies at Ludwig Maximilians University, Munich, Germany.